A very nice midcabin daycruiser for comfortable cruising in a good condition. A very nice nice daycruiser with mid cabin in "as new" condition. 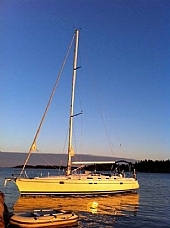 A very nice Najad 360, well maintained and updated with an exceptional equippment list. This is a true opportunity to purchase a perfect offshore boat for wonderful adventures at sea. A well maintained and updated Tuna Cruiser built in steel 1985. A very nice and stable boat.